Saving my rotting cactus update – over 4.5 years later! 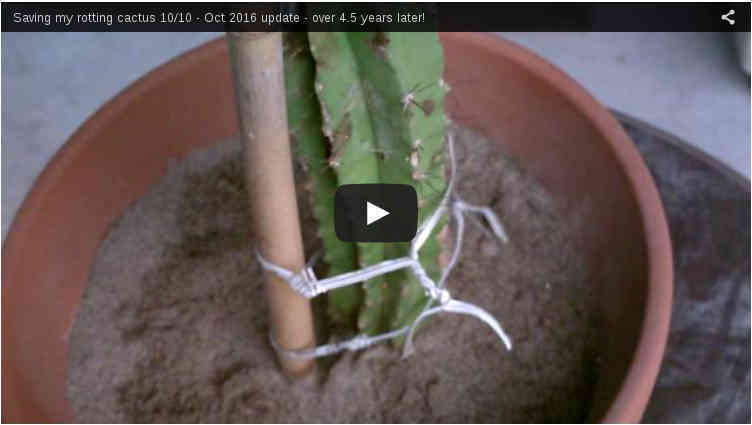 I’ve just made an update video about my 14 year-old cactus! It’s been over 4.5 years since my cactus was first cut to save it from rotting (top AND roots were cut off! ), and almost a year since the last video. I also wrote a book about it! “Saving My Rotting Cactus” (ebook or paperback) http://amzn.to/1xteqdM available from Amazon and most online book stores.